Dr. Ziyang Zhou, Acupuncturist and Herbalist in Austin, Texas, learned under his grandfather who was an acclaimed specialist in Traditional Chinese Medicine (TCM) known throughout China. 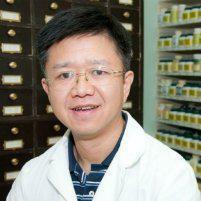 Dr. Zhou worked as a medical doctor in China before coming to the US in 1995 to practice TCM. He has helped numerous patients with a variety of conditions such as back pain and pain management, digestive issues, allergies, fatigue, and women's health and fertility, to name a few. Scroll down to read more. "Dr. Zhou personifies compassion, capable, and competent care." "Dr. Zhou is the best! I saw excellent results even after my first treatment for pain." "Such an amazing man! I recommend him to anyone who is experiencing any illness or pain." "Dr. Zhou is communicative, kind, gentle and respectful. A true healer." "Dr. Zhou is world class! Knowledgeable, competent, professional, tidy, efficient." 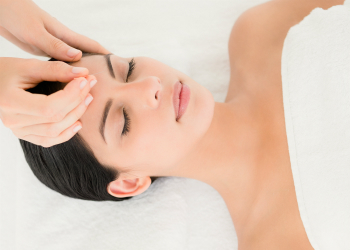 Acupuncture is a treatment in Traditional Chinese Medicine (TCM) that involves the use of hair-thin needles on particular points throughout the body. The needles are inserted and promote the realignment of the flow of qi, the energy that runs through a person's body. In TCM, the inability of qi to flow freely through different pathways is part of the reason people experience different health problems. Dr. Zhou will insert the needles at different acupuncture points based on the location of the pain or the problem the person is experiencing. Sometimes, the needles are inserted near the problem or on another part of the body not located near the problem. By getting the qi to flow to a particular area, it has the ability to reduce pain or rebalance the body’s energy. Many researchers speculate the needles aid in the release of chemicals like endorphins or natural opioids that relieve pain, discomfort and other symptoms. Is It Safe, and Does It Hurt? What Are The Needles Like? Acupuncture is a completely safe procedure at Pine Mountain Chinese Acupuncture and Herb Clinic. Dr. Zhou uses single-use, sterilized, and disposable needles. 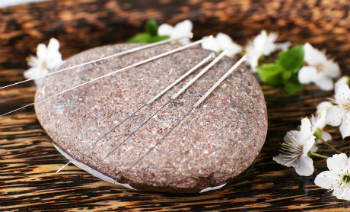 The needles are very fine, and many patients say acupuncture is painless; Dr. Zhou has perfected his technique to prevent discomfort. If your acupuncturist has given the patient the correct stimulus, they may feel tingling, heaviness distension, or an electric sensation around the needle. 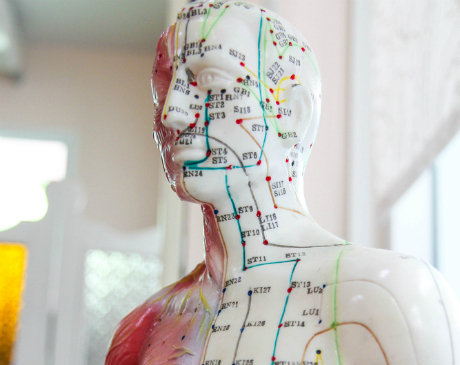 Acupuncture has very few side effects, and most people don't experience any. Some patients may have slight bleeding, bruising or site reaction, but this isn't common. Dr. Zhou is a specialist in women's health and fertility, so those who are pregnant can consult with Dr. Zhou to create a pregnancy-specific treatment plan. Those on blood thinners or who have a bleeding disorder should consult with Dr. Zhou and their primary care practitioner prior to acupuncture because of their risk of bleeding. Sinus/nasal inflammation or dryness, earaches, pain after tooth extraction. Digestive tract problems, hiccups, inflammation of the stomach, chronic duodenal ulcers, diarrhea, inflammation of the colon, constipation, dysentery caused by certain bacteria. Inflammation of the conjunctiva or the central retina, nearsightedness (in children) and uncomplicated cataracts. Headaches, migraines, certain facial paralysis or nerve pain, partial weakness after a stroke, inflammation of nerve endings, bed wetting, frozen shoulder, tennis elbow, sciatica, low back pain, and osteoarthritis. Our clinic participates in most major insurance programs and networks. However, insurance plans vary in coverage so acupuncture is not a guaranteed benefit, even when Dr. Ziyang Zhou is an in-network provider. Please call your insurance company to verify or our office can verify it for you. We are proud to now be covered by Veterans Affairs Patient Centered Community Care (VAPC3). See our "Before Your Visit" page in Patient Information for more information. "Such a rare and qualified practitioner. Has helped both me and my children immeasurably with a number of health issues. Highly recommend." "For five years the acupuncture, herbs and consultation that I have received from Dr. Zhou have created a sense of ease in my system and daily life." "Dr. Zhou at Pine Mountain is incredible. I've had about 15 treatments so far, and my back and elbow injuries feel much better." "I started going to Dr. Zhou three years ago. I now consider him my primary care doctor since he has helped me with IBS, allergies, menstrual period, and hypothyroidism." "Best Acupuncturist in Austin! He initially treated me for female infertility issues. I conceived within 2 months. Currently treating me for pregnancy aches and pains." "He is fabulous! He also understands medical terminology because he was a Medical Doctor in China, which helps the bridge over from Western medicine to Eastern medicine." "Dr. Zhou is very professional and demonstrates a level of care and concern not often found in the medical industry today. I would highly recommend him." "I am extremely nervous about needles but Dr. Zhou is extremely gentle and tailors his technique to the patient."